A simple design and subtle tassel graphic make this a sophisticated choice for your graduation announcement. 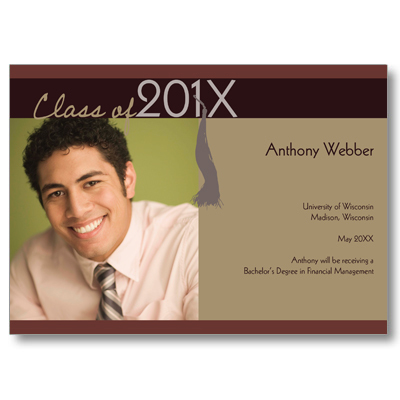 This card showcases your favorite photo and has plenty of room for text to show off your graduate's accomplishments. Card measures 7x5.